It started as a TV gimmick almost 20 years ago to give Germany’s B-listers amusing airtime. Today, wok racing has its own dedicated championships attracting, celebrity competitors and Olympians, including the Jamaican bobsled team. Competitors fly down an Olympic bobsled track on a large, modified wok, heating the bottom with a blowtorch before launch for extra slip and speed. Pilots can either go solo or compete in a four-person ‘woksled’. The 2015 world championships were held in the former Winter Olympics site in Innsbruck, Austria. 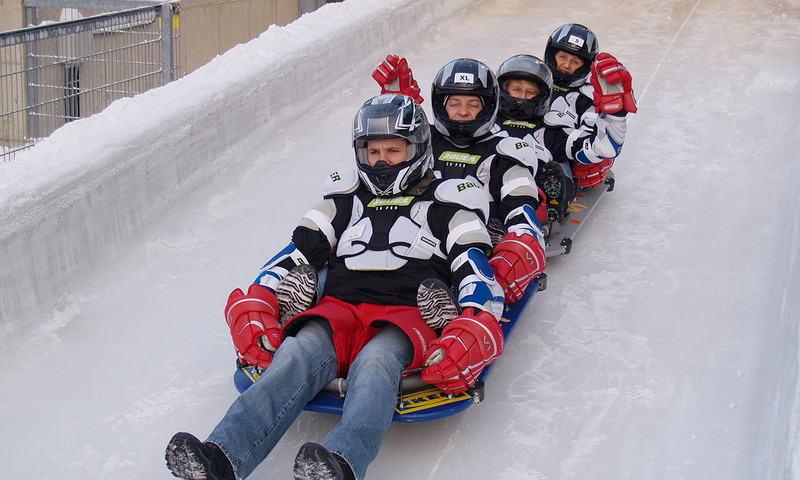 Here, visitors can also enjoy a piloted zip down the 1.2-kilometre bobsled track. Wok or sled? You decide. A bobsled ride at Olympiaworld Innsbruck costs about US$34. A wok ride is US$90. You’ll have a professional at the helm to ensure you make it to the end of the ride alive, and hopefully not fried. You’ll reach speeds of 90 kilometres per hour as you zip around the track on a sled.